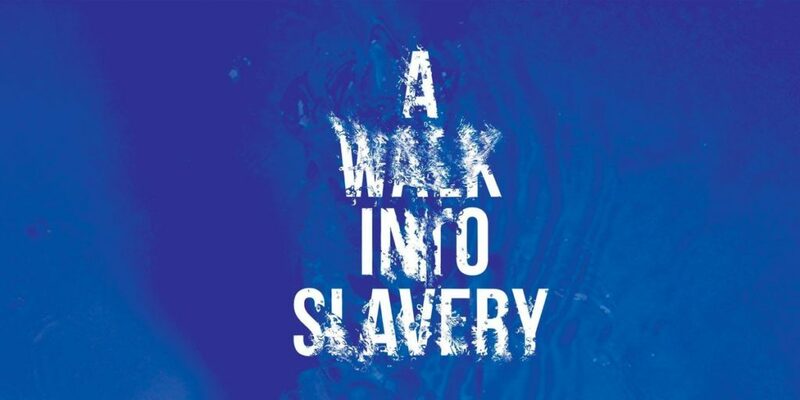 The award-winning Billie Holiday Theatre has announced the world premiere of the ground-breaking A Walk Into Slavery. As 2019 marks the 400thyear of the first enslaved Africans brought to the Jamestown settlement in America, The Billie will present this multi-media meditation experience as it takes audiences on an evocative and emotional historical expedition to the genesis of the Transatlantic slave trade as seen through the lens of one man’s journey. Conceived and directed by Indira Etwaroo, Executive Director of The Billie, this compelling new work follows award-winning international designer and photographer Hollis Kingfrom his native home of Trinidad to Brooklyn, and then as he traces his steps back to West Ghana’s slave castles – what were for many the final stop before they reached the Americas. With poetry created and performed by celebrated writer and recording artistCarl Hancock Rux, A Walk Into Slaverywill run for one week only at The Billie from April 30th-May 4th(see schedule below) and will also include vocals by artist and Brooklyn-nativeMarcelle Davies-Lashley. Grappling with the notion of home and what is lost when one is forcibly displaced and must redefine the concept of home on American soil, A Walk Into Slaveryshapes it’s narrative with historic photographs dating back to the 1800s; pencil sketches, journal entries, and original photographs by King; and a haunting lighting design that assumes the character of timecreated by Devin Cameron. Set in the round in The Billie’s New Community Studio space, A Walk IntoSlavery ensures an intimate and interactive exchange between artist and the audience. Since its inception in 1972, The Billie Holiday Theatre has continued to reinforce its role as a leader in presenting and championing Black Theater; as a vital resource for its surrounding Bedford Stuyvesant community and beyond; and as a platform for artists to address issues of social justice encompassing a diverse range of groundbreaking, provocative works presenting diverse stories from across the African Diaspora. In August of 1619, the first African men and women arrived by ship to Point Comfort, which is present-day Fort Monroe in Hampton, Virginia when John Rolfe, Secretary and Recorder General of Virginia, recorded the arrival of “20 and odd Negroes,” marking the beginning of the social construct in colonial America where citizens of Africa were taken unwillingly from their homeland, transplanted, and committed to lifelong slavery and racial discrimination. 2019 marks the 400thanniversary of the arrival of that first recorded slave ship. Last year, Ghana kicked-off the “Year of Return,” an opportunity to unite the people in the Diaspora with their kin in Africa, with its launch in Washington D.C., in October 2018. This was followed by the Full Circle Festival last December, where more than 70 African-American notables visited Ghana to reconnect with their African heritage. The “Year of Return” commemorates the 400th year of the extraordinary sacrifices, achievements and contributions Africans in the Diaspora made to the lives of the Americans. General admission tickets for the performances are $30 and available for purchase online at thebillieholiday.org. A special $10 ticket is available for all weekday Matinee performances for Seniors and Students. Tickets are also available in person at the Billie Holiday Theater Administrative Office at Restoration Plaza, 1368 Fulton Street Monday – Friday 11 – 5pm and Saturday 11 – 4pm. For tickets by phone call (866) 811-4111. VIP Membership tickets for “Friends of Billie” are available with an added $50 donation to support the theater’s mission at any of the locations noted above. Due to repairs being made to The Billie Holiday Theatre following recent flooding, the stage is temporarily closed. In the interim, The Billie is still fully active during this time and is presenting some of its programs off-site where indicated. The AUDELCO and Obie Award-winning ​Billie Holiday Theatre​ is devoted to the discovery of world-class storytelling with a focus on stories for, by and about people of African descent. he Billie presents, promotes and sustains art that reflects the definitive issues of our time in and through all of its forms of expression. The Billie Holiday Theatre has been a significant platform for many Black theater artists, including Samuel L. Jackson, Ruby Dee, Debbie Allen, Wendell Pierce, John Amos, Sonia Sanchez and more. Hollis King is former vice-president and creative director at the Verve Music Group the largest jazz record label in the world. He studied advertising and design at New York City Community College and later transferred to School of Visual Art where he studied with legendary artist Milton Glaser. King worked at several design studios before entering the music industry, as a graphic designer at GRP records, later becoming creative director. He then joined the Verve Music Group, a division of Universal Music Company, and worked with some of the greatest musicians of all times. King has received numerous achievement awards and citations as well as five Grammy Nominations. Currently, Hollis runs his own creative company, sits on an executive board, and regularly lectures at FIT, SVA, Art Directors Club and Society of Illustrators. He is also the Creative Director at RestorationART. Carl Hancock Rux is an award-winning poet, playwright, novelist, essayist and recording artist. He is the former head of the MFA Writing for Performance Program at the California Institute of the Arts (2006–09) and has taught or been in residence at the University of California–San Diego, Stanford University, the University of Massachusetts Amherst, Hollins University, the University of Iowa and Brown University. Rux is the author of the novel, Asphalt, the OBIE Award winning play, Talk, and the Village Voice Literary prize-winning collection of poetry, Pagan Operetta. Rux has also worked as a writer and frequent guest performer in dance, collaborating with Marlies Yearby’s Movin’ Spirits Dance Theater, Urban Bush Women, Jane Comfort & Co., Bill T. Jones/Arnie Zane Dance Company, the Alvin Ailey American Dance Theater and Martha Clark. Rux received a BESSIE© award for his direction of the Lisa Jones/Alva Rogers dance musical, Stained.Rux originated the title role in the folk opera production of The Temptation of St. Anthony. The opera made its American premiere at the Brooklyn Academy of Music/ BAM Next Wave Festival in October 2004 and official world premiere at the Paris Opera, Garnier. His film credits include The Grand Inquisitor (as The One), Brooklyn Boheme(documentary), Migrationsdirected by Nelson George andThe Revolution Will Not Be Televised, a documentary film about Gil Scott-Heron, among others. Rux’s critically acclaimed debut CD, Rux Revue(Sony Music), was voted one of the top ten alternative music CDs of 1998 in the New York Times with his sophomore CD, Apothecary Rx, released on Giant Step Records in 2002, also receiving critical acclaim. Mr. Rux is a recipient of the New York Foundation for the Arts Prize; NYFA Gregory Millard Playwright in Residence Fellow; National Endowment for the Arts/Theater Communications Group Playwright in Residence Fellow; Bessie Schomburg award; and the coveted CalArts/Herb Alpert Award in the Arts. This program is supported, in part, by public funds from the New York City Department of Cultural Affairs in partnership with the City Council. Additional funding is provided by The Fan Fox and Leslie R. Samuels Foundation, The Ford Foundation, The Fund for the City of New York, the J. L. Greene Arts Access Fund in The New York Community Trust, The Howard Gilman Foundation, and The Lily Auchincloss Foundation.